MNEmerge project explores the role of multinational enterprises (MNEs) in addressing global development challenges by mirroring the impacts of the operations of MNEs against the United Nations Millennium Development Goals (MDGs). MNEmerge aims to provide a comprehensive framework for understanding the impact of MNEs on MDGs in developing countries using case studies, quantitative data as well as policy analysis. The project’s research team studies how MNEs manage their activities in FDI, business functioning, technology and innovation strategies, corporate philanthropy or socially responsible investments and how these issues can contribute to the attainment of poverty alleviation, food security, health security, environmental security and electrification in developing countries. Analysing the role of public policies in supporting responsible business practices and the MDGs. The MNEmerge project contributes with policy and strategy recommendations to all eight MDGs. These recommendations are based on field research and case studies in developing countries of Africa, Asia and Latin America to assess the real impact of MNE activities on the host economies. As a result, the project will provide concrete recommendations to support the future decision-making as well as present best practices for businesses concerning corporate responsibility, sustainable development and energy efficient behaviour. By providing recommendations regarding modes of MNE collaboration with societal stakeholders, the project aims at supporting business sustainability while simultaneously ensuring sustainable development of a society. The MNEmerge consortium has been an active contributor to the multinationals research already before the project and has extensive expertise on studying societal problems in emerging markets. 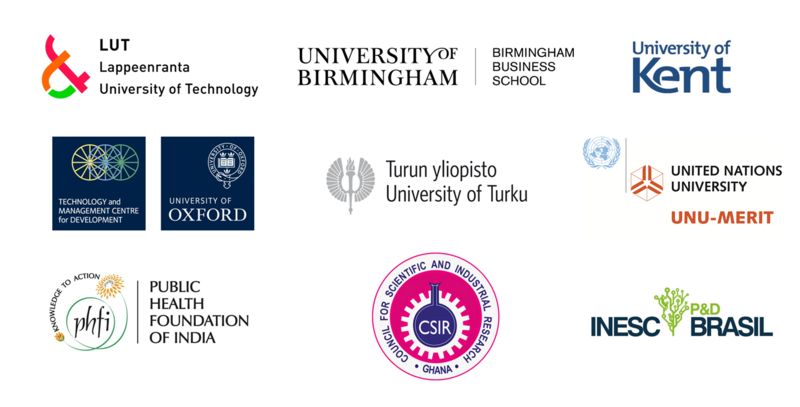 The research during the project will combine the strengths of the partners – an international, interdisciplinary team involving researchers from Finnish, British and Dutch institutes as well as Indian, Ghanaian and Brazilian organisations (see below). MNEmerge is a three-year (2014-2016) international research project that has received funding from the European Union’s Seventh Framework Programme for research, technological development and demonstration under Grant Agreement No. 612889.